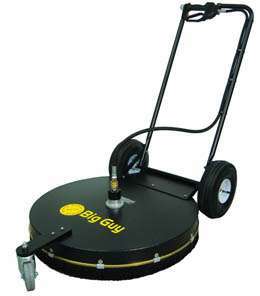 The Big Guy 36″ rotary surface cleaners are constructed with powder coated aluminium and a steel axle assembly. These machines provide added surface coverage to do the big jobs. Resilient brush ensures spray is confined to the surface area and not the operator or the surrounding area.